I wrote this pattern in all sizes and have a twin size made up that just won't cooperate with pictures but let me just say, it's perfect for a little girls bedroom. The pattern is available in my Etsy store and if you make it, I'd absolutely love to see, so please share!!! 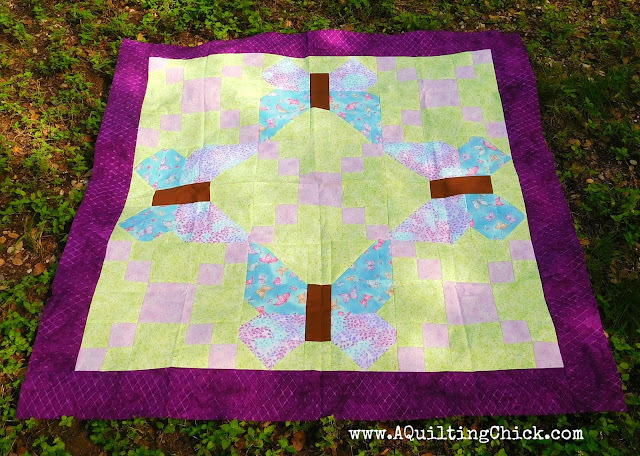 I'm linking up with Patchwork Times for Design Wall Monday, with Show & Tell Monday at Bambisyr with its Quiltglädje!, with Cooking Up Quilts for Main Crush Monday, and with Love Laugh Quilt for Monday Making. With Quilt Story for Fabric Tuesday and with Quilting Room with Mel for Fiber Tuesday. 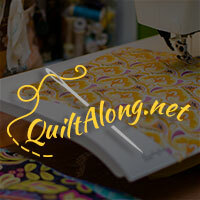 With Sew Fresh Quilts for Let's Bee Social, Quilt Fabrication for Midweek Makers, My Quilt Infatuation for NTT, and WOW on Esther's Quilt Blog. And finally with Crazy Mom Quilts for Finish it up Friday, and with Ft. Worth Fabric Studio for Fabric Frenzy Friday. I like your pattern! For some reason, my camera has a hard time with light purples and pinks. The color is never right. It looks great! Thanks for persevering in getting the pics. Yay for getting the pictures you wanted! 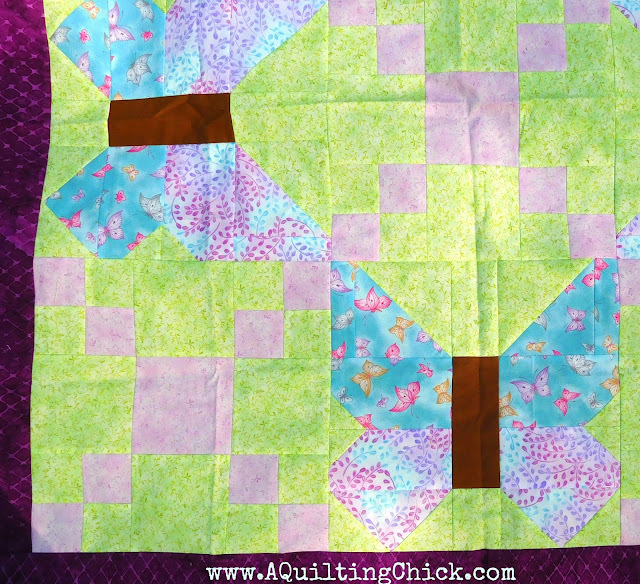 Congrats on a new pattern; the butterflies are adorable, and the colors you used are perfect for a little girl. Purples are so fun to use! 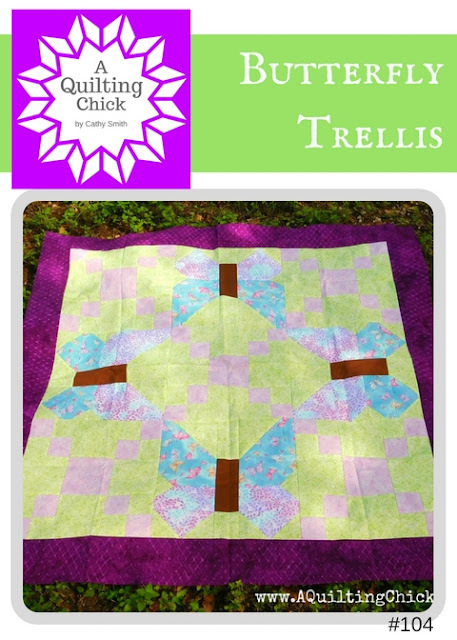 What a great quilt for a little girl! So pretty! Love the pattern and your colors are great! Hi Cathy, that's a really lovely pattern. I agree, your quilt is adorable! So soft and pretty! Congrats on a beautiful finish. Great pattern! I really like the design and the colors you used.